The Community Food Bank of Central Alabama is an amazing organization that collects food donations and distributes them to local food pantries and soup kitchens in the central Alabama area. The Food Bank also has some of its own programs that work directly with people in need. One of these programs is called the Mobile Pantry program. 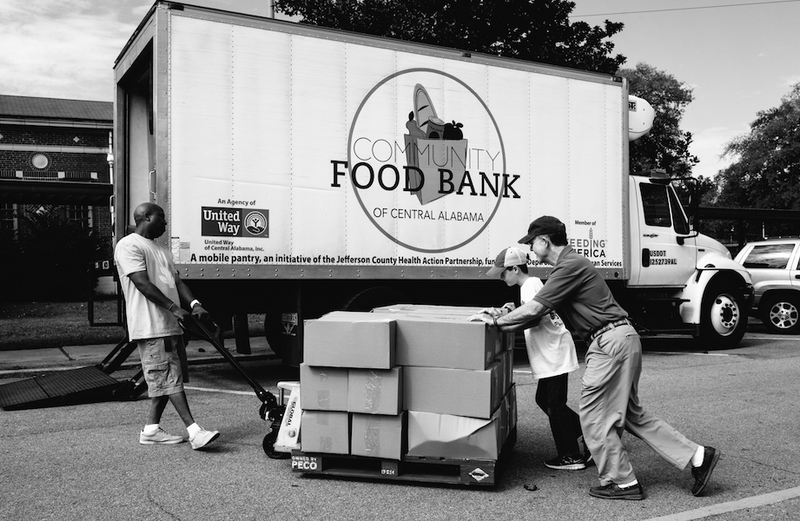 The Mobile Pantry program works with people who live in more rural areas that don’t have access to food pantries or soup kitchens. The Mobile Pantry travels to these areas and gives out meat, and food staples such as pasta, rice, and canned vegetables and fruits. They also strive to make sure that the people receiving food from theMobile Pantry always have a fresh produce option. The Food Bank is also runs other programs such as the Weekenders Backpack program and the Hospital Pantry. The Food Bank is always in need of donations. Since the holiday season is right around the corner donations are needed even more. For more information on the Food Bank or to get involved please visit http://www.feedingal.org.